Squirrels can be a real challenge to get rid of once they’ve already taken residence up in your attic, which is why preventing them from even entering your home is essential to keeping your house pest-free. Learning how to get rid of ground squirrels to prevent any health risks and damage to your home will save you the time and money that you would spend on calling wildlife control, as well as leaving you with the necessary experience to deal with them if they ever manage to get in again. Ground squirrels are small rodents that tend to prefer to make their homes in the grasslands over living in trees, and are often on the lookout for safe and warm places in which to have their younglings. This makes your attic an ideal target for invasion, especially if it has any trees nearby that the squirrels might climb, and more so if it has any entrance holes for these rodents to get in through. One of the most telling sings of animals living in your home is the concentrated smell of urine and feces, especially in enclosed spaces like the attic. Some of the most notorious damage squirrels cause in your home comes from their chewing and clawing of the woodwork in order to make entry points into the attic, which can be located near windows and chimneys. Once you start looking around your attic for the smell and the entry points, you’ll likely find the nesting place of the squirrels, which are usually located in dark, warm places where the younglings can’t be easily reached, such as behind furniture and between the woodwork. Finding the exact hiding spot of the squirrels is only the first step. 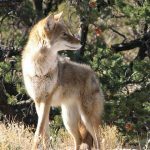 To get rid of them, you can always call wildlife control, but we personally recommend reading up on ground squirrel control to properly dispose of them yourself; this includes finding all the right information on wildlife and safety regulations before taking any action, for these can vary from region to region. Squirrel traps are the most effective way to safely and surely catch these small animals, giving you the opportunity to relocate them into their natural habitat once they find their way into a live-cage. Once you have located all the entry holes the squirrels might have chewed into your home, it’s time to cover them. 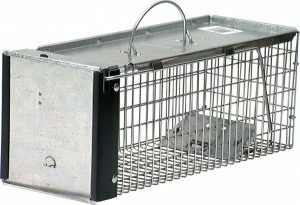 This will leave the rodents with only one exit, making it much more controllable to keep them out. You can get these at the store for a reasonable price and spray them all throughout the most likely entry points and hiding spots. Do this when you’re sure your attic is squirrel free, though; the repellent might just make the animals panic and move further into the house and into the walls and ceilings. As with most critters, squirrels get easily scared by strange noises or bright lights, so a good tip to keep your attic clean is to have it well illuminated and active with sound. You can keep a radio on during the night, since this is when squirrels’ are most active, and you can place a few bright, energy saving light bulbs just to keep the place as uninviting as possible. These are the tips most experts will give you on how to get rid of ground squirrels, but alas, you can use other ‘home remedies’ to ensure that squirrels stay away from your attic. Aside from store bought, specialized repellents, you can place rags wet in ammonia exactly on their nesting location, since squirrels and other animals seem to be strongly repelled by this smell. You can also use mothballs and vinegar as repellents you can find in your own house, but always keep in mind that these work best when combined with proper, expert approved trapping techniques. 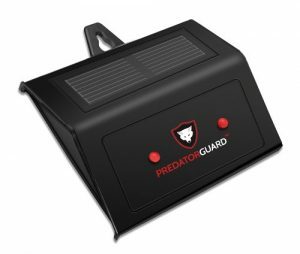 ← Are Dog Proof Traps Cat Proof?